The sewage pump is not unlike a sump pump – the two are related in that they both pump water out of locations that are below ground level. The primary difference between them is that your sewage pump can also handle solids. Sewage pumps are used primarily in basement bathrooms and within the septic tank itself to facilitate the removal of sewage from the property. At Larry & Sons, we offer comprehensive sewage pump services throughout the Hagerstown, MD area, including the installation of new pumps, the replacement of old ones, and any repair or maintenance services. When you let the professional plumbers on our squad handle your sewage pump services in Hagerstown, MD, you know that the quality of the craftsmanship and customer service is high. We make sure that our customers have everything they need to keep their septic systems running well for years to come. When it comes to the integrity of your plumbing system, you simply cannot take any chances. A sewage pump is a vital piece of equipment for the effectiveness and efficiency of your sewer system, so let the professional plumbers on our team handle its installation or repair. Give Larry & Sons a call today if you’re in need of sewage pump services in Hagerstown, MD. There are several reasons why you might need a sewage pump. These devices are relatively simple, and they are certainly built to last when professionally installed. Your septic tank has a sewage pump to move your wastewater through the system. Like other pumps, it may need to be serviced at times to ensure that it operates correctly. Make sure that your sewage pump installation is carried out by a professional. Owning a home is often an opportunity to do things yourself around the house, but when it comes to your plumbing system, it’s always best to hire a professional plumber to get the job done right the first time. Because your wastewater system is inextricably tied to the health and comfort of your home, making sure that your sewage pump is installed by our professionals is critical. We can make sure that you get excellent results. Whatever the problem may be with your sewage pump, we can provide an excellent solution. 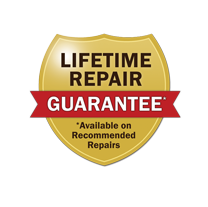 Give us a call today so that we can started on your sewage pump repair or maintenance.